Duchess has a surprise for DonQui. It involves food and drink as she knows what he likes. It also appears to be something new, something DonQui has not yet tried. 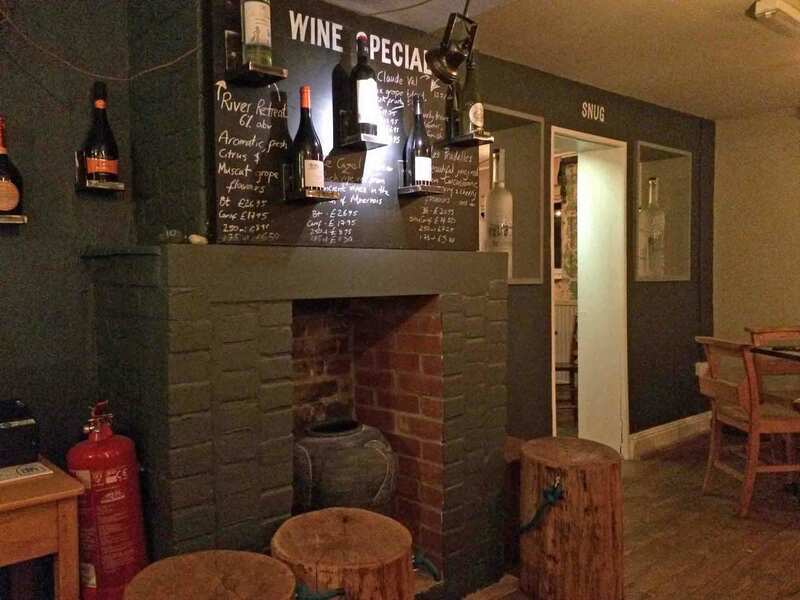 Now DonQui is firmly of the option that the food in Suffolk is amongst the best to be had in England. Fresh and locally sourced, it may not have the international variety one can find in London but the quality and value for money are simply outstanding. Being the sort of animal who constantly seeks out all the best pastures, DonQui had assumed that he had sampled all there was to be had close to his home paddock. Imagine his surprise, therefore,when Duchess leads him to a new place just beyond the sand dunes of the Southwold beach. 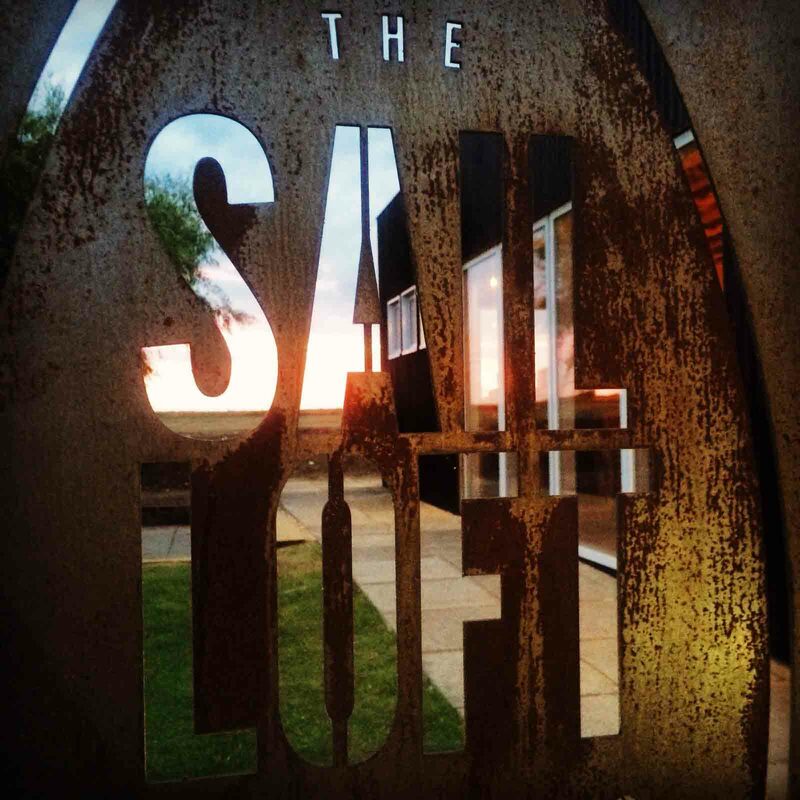 Sail Loft in Southwold opened a few months ago, after renovating an old Italian restaurant that had been closed for years. DonQui’s initial impression is very positive. Yes it had an inevitable nautical look but it was done in a very tasteful way without any fishing nets, faux pirate junk, nor any other kind of tourist tat. Instead there was lots of distressed, reclaimed wood which gave a modern and comfortably casual up-market atmosphere. DonQui’s mane stood up in delight when he saw the rather good wines and the seasonal specials on offer. Despite the nautical name this was not the sort of place for sea-side holiday fish and chips! 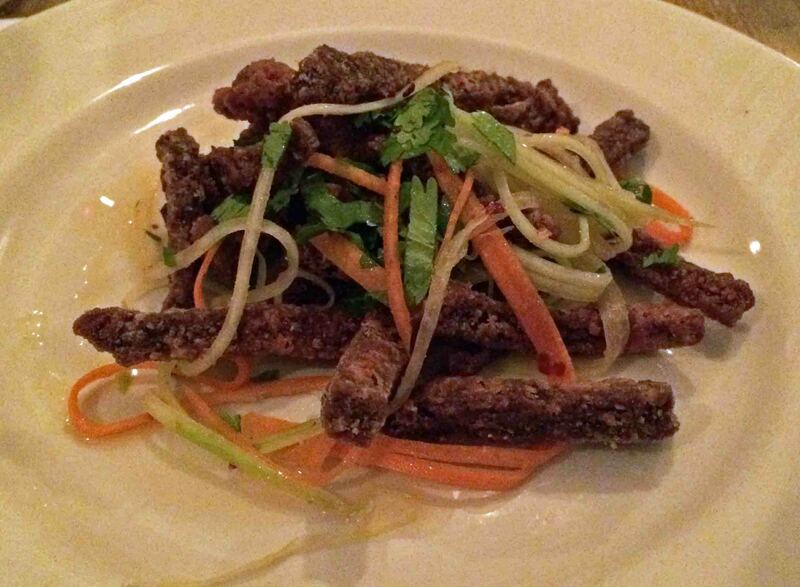 A plate of crispy salt and pepper beef with carrot, radish and coriander serves as a shared starter. It is out of the ordinary and very tasty indeed. More than enough for two to share, it serves admirably to keep the wolf away while waiting for the main course and sipping on a most excellent Argentinian Malbec. The wine is a bit on the expensive side for Suffolk (although it would be a bargain in London) and DonQui appreciates the option of a glass, a carafe or a bottle. The main courses are roast partridge with root vegetables and a blueberry sauce, for DonQui; slow cooked Blythburgh pork belly with red cabbage, roast potatoes and cider gravy for Duchess. Both are exquisite. Autumn is game season and DonQui can rarely resist a game option when it is on the menu. Some game birds can, however, be a bit on the tough side. This one however is succulent and perfectly cooked. 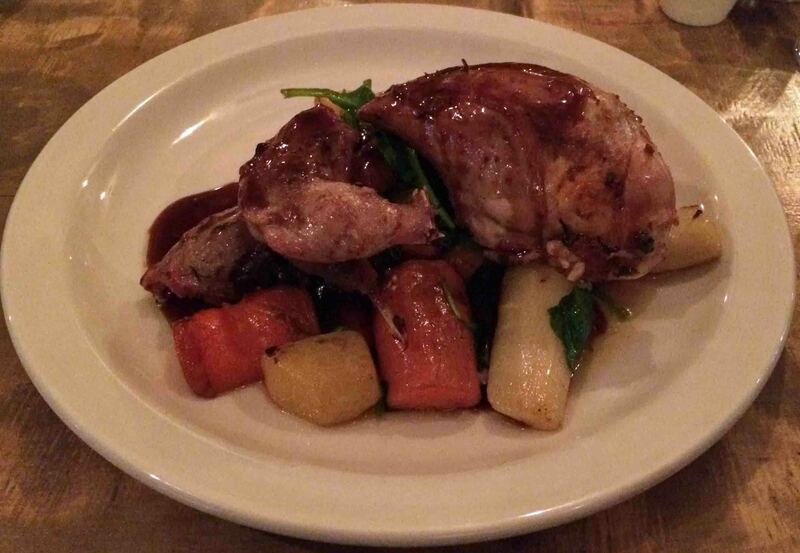 The sweetness of the blueberries in the sauce is a perfect counter-point to the full flavour of the game bird. 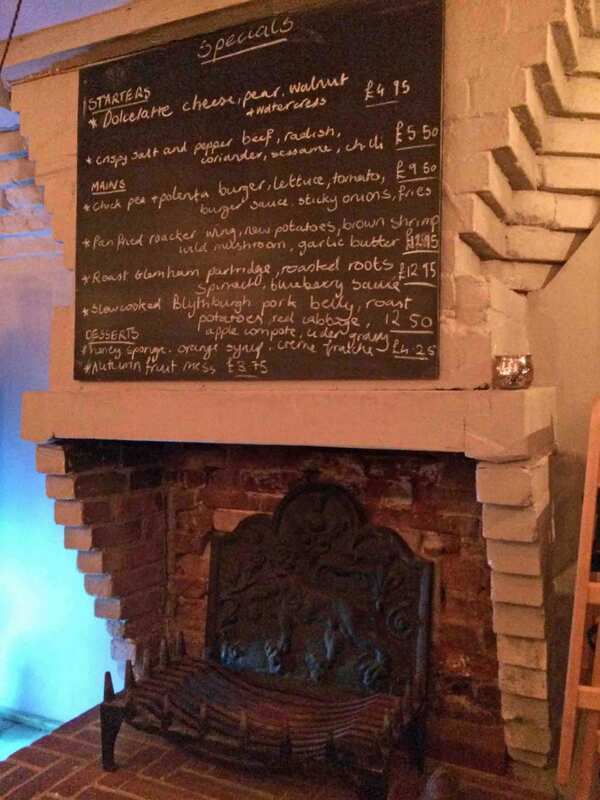 Blythburgh pork, from just across the river from Southwold is becoming increasingly sought after and DonQui has seen it on menus in several London restaurants. 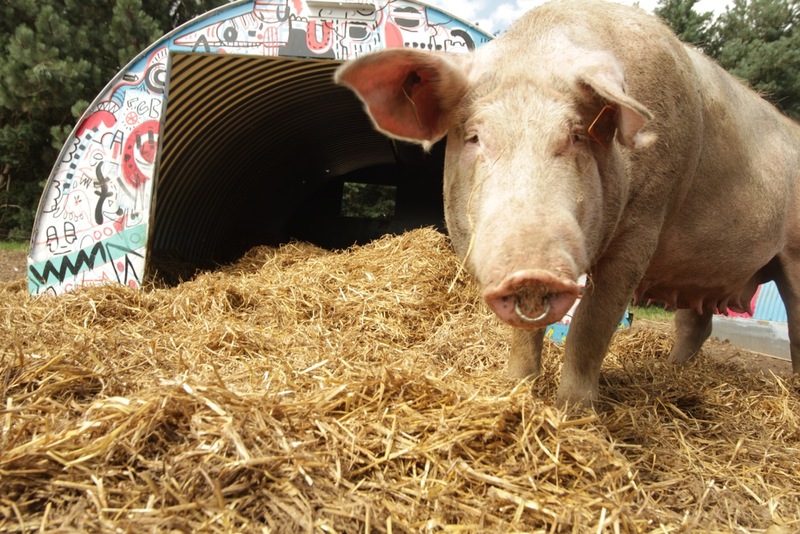 How much better to have it close to home just a few miles from where the pigs are reared? It is ’melt in the mouth’ tender and full of delicious taste. The red cabbage, cooked with apple, is a perfect compliment. DonQui’s only criticism is that by serving the pork belly on top of the red cabbage the lovely cider gravy became lost in the cabbage. The latter does not need it, while the pork is a little on the dry side without. This is fixed when the chef provides a jug of extra gravy on request. Desert is a shared ‘autumn fruit mess’ — a seasonal variant on Eton Mess (non Brits may have to look this up). Figs, apples and blackberries are the fruit and they worked brilliantly together with the cream and broken up meringue. DonQui tucks into it with such delight that he completely forgot about taking photos! DonQui will most definitely be going back!